When the fast-paced demands of modern society become unbearable, successful couple Katha and Ryu escape to a community of 1950s reenactors, where life is slower, boys are boys and girls are girls, and what happens behind closed doors does not get discussed at Tupperware parties. Will replacing Wi-Fi with hi-fi provide the answers this couple so desperately crave? A hit at the 2011 Humana Festival of new Plays, Jordan Harrison’s provocative comedy thrusts retro attitudes about gender, race, and sexuality into a modern world. "Maple and Vine" takes an intriguing idea - having a set of 1955 re-enactors live the life 24/7 - and turns it into a play. It throws in an interracial marriage and a homosexual sub-plot to make the content reflect contemporary issues. It’s contrived, sure, but it’s smartly done and consistently entertaining. The set by Isabel A. & Moriah Curley-Clay makes use of sliding and revolving panels and alternate countertops to portray a variety of settings. It’s clever and generally attractive, but the only true design statement is the series of stylized rooflines that form the background for act two. The kitchen island with a stovetop seems way out of keeping with the 1950’s, though. Sydney Roberts’ costumes are generally effective too, with a nice delineation between modern-day and 1950’s outfits. There is one costume late in the show, though, that pins a scarf across one shoulder of a navy blue suit with a brooch. That’s a style that screams "Designing Women" rather than "I Love Lucy." Lighting (Mike Post) and sound (Joseph P. Monaghan III) are fine, with very nice musical selections playing during scene changes. Suzanne Cooper Morris’ props are acceptable, although the crab puffs coming out of the oven in a serving bowl doesn’t fit well with the script (even if Kate Donadio does all she can to disguise this misstep). The 1950’s tables could use another ashtray or two too. Using stock modern-day cardboard boxes with printed barcodes is also a misstep in period authenticity. Most of the performances are excellent. Tiffany Morgan does terrific work with both her characters, and Kate Donadio makes her character’s transition from unhappy, high-powered businesswoman to contented housewife and re-enactor hostess ring true at each transition. John Benzinger portrays his strait-laced character with conviction. Jeremy Harrison is great as Roger, but shows insufficient delineation as similar character Omar. The weak link is Michael Sung-Ho, who has the kind of voice that becomes flat and expressionless when projected. Unfortunately, he projects all the time, and the volume differential between him and the rest of the cast detracts from the performance. Director Kate Warner has paced the show nicely, and action flows smoothly. 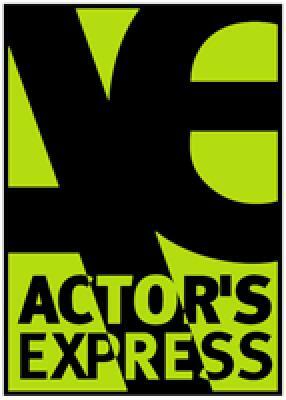 This is probably the least exciting production so far in the 2013-2014 season at Actor’s Express, but it has had very high-quality competition in "Venus in Fur," "Pluto," and "Six Degrees of Separation." "Maple and Vine" is a fine, entertaining show, but it doesn’t have a huge "wow" factor. It’s worth seeing, though, for Kate Donadio’s performance, if for nothing else.